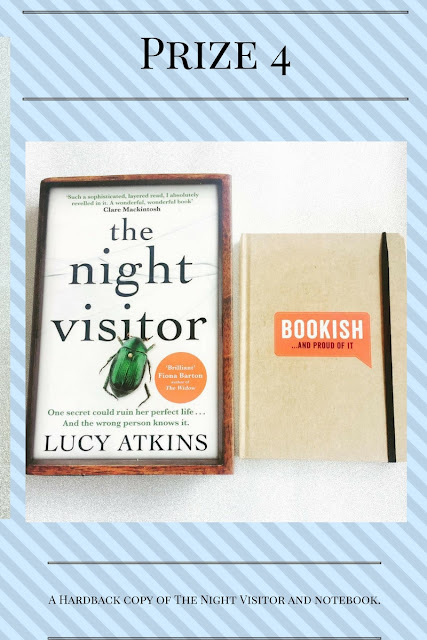 This is the second to last giveaway and up for grabs this time is a Hardback Copy of The Night Visitor by Lucy Atkins and a Bookish notebook. Anything and everything! Thanks for the opportunity! I find your blog great so I don't see what improvements to suggest. Just keep doing what you've been doing! Nothing new required..its fab as is!